With nearly 60 percent of their previous year’s offense graduating, the Lakers took their lumps during a 12-15 season this past winter. However, the short-term pain should result in long-term gain. That’s because Head Coach Joe Griffin’s team features young talent who played crucial roles in 2015-16, and those roles will only expand as they gain more experience. 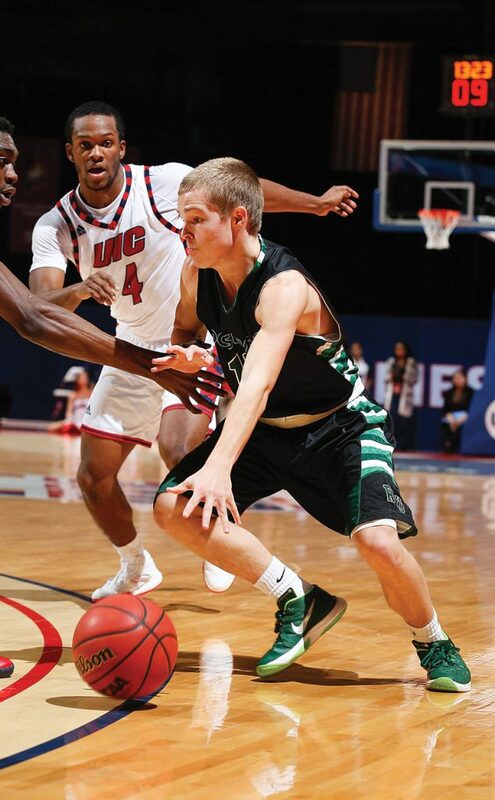 Freshman guard Jake Ludwig proved to be a quick adapter to the college game. The St. Charles, Ill. native burst onto the scene as an offensive catalyst and finished the year leading the Lakers in scoring with 17.9 points per game. Wielding a propensity to get to the rim and make big shots, the 6-foot-1 rookie was named the 2015-16 Chicagoland Collegiate Athletic Conference Freshman of the Year, marking the first time a Roosevelt player has won that award, and an All-CCAC Second Team selection. Ludwig was joined in the backcourt by another rookie, point guard Kyle Bumbalough from New Castle, Ind. Bumbalough is just 5-foot-9, but his grit and reliable offensive leadership make him a big player in Griffin’s system. Head Coach Joe Griffin’s team features young talent who played crucial roles in 2015-16, and those roles will only expand as they gain more experience. 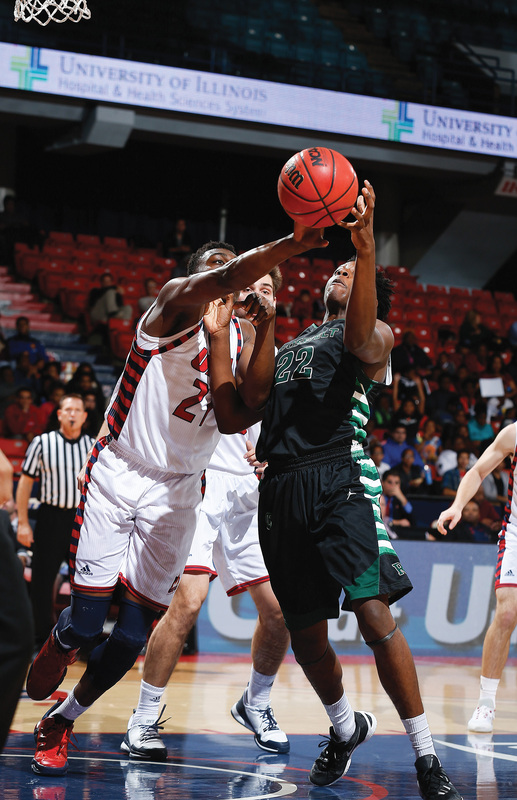 Sophomore forward Joshua Dillingham proved to be unstoppable at times during his second season. The team’s leading rebounder, Dillingham is a Bolingbrook, Ill.-native who showed flashes of dominance in the post when he was able to stay out of foul trouble. 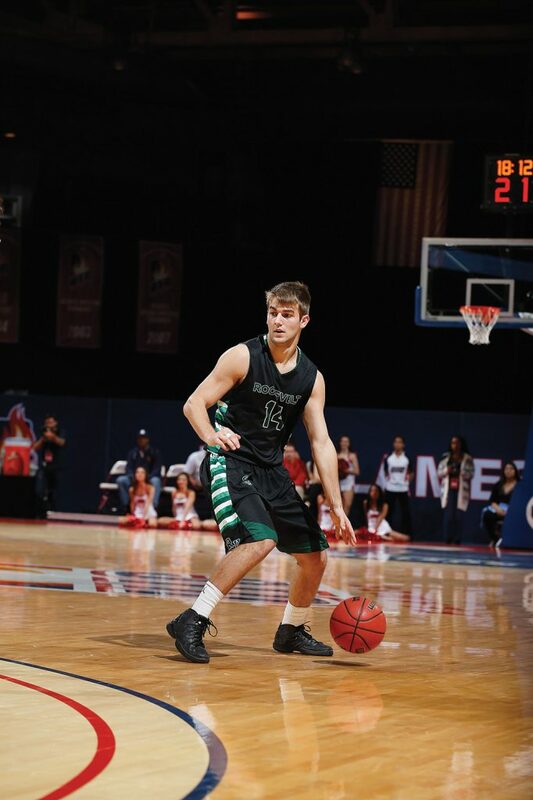 He provided Roosevelt fans a first-hand glimpse of his potential when he scored a career-high 26 points and almost single-handedly rallied the Lakers back against eventual CCAC tournament champion Robert Morris Illinois at the Goodman Center this past January. Those are just three of the young players Griffin has on his roster for next year and beyond, and reinforcements via the recruiting trail should give Roosevelt more talent to take a greater step forward in the rigorous CCAC.